The Audiovisual Library of International Law Historic Archives provides an information about the drafting of many international instruments, including the Universal Declaration, the ICESCR and the ICCPR. To celebrate the 60th anniversary of the adoption of the Universal Declaration, the Libraries of the United Nations digitized the documents related to the drafting process and created a website with information about the Declaration. The documents are accessible from the Official Document System (ODS) and from UNIBISnet, the Library's catalogue. The website of the OHCHR links to a wealth of resources about the Universal Declaration and related matters. 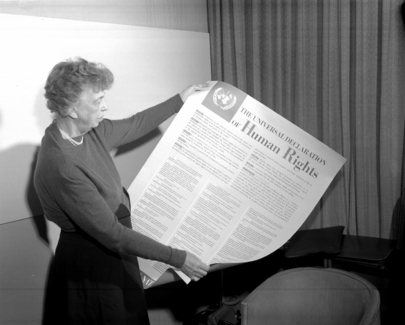 Includes over 400 translations of the UDHR.